British Columbia elected more women to its legislature on Tuesday than any other province in Canada, and that's before Premier-elect Christy Clark even runs in a byelection for her seat. Twenty-nine seats, or 34 per cent of the total, went to female candidates in B.C. 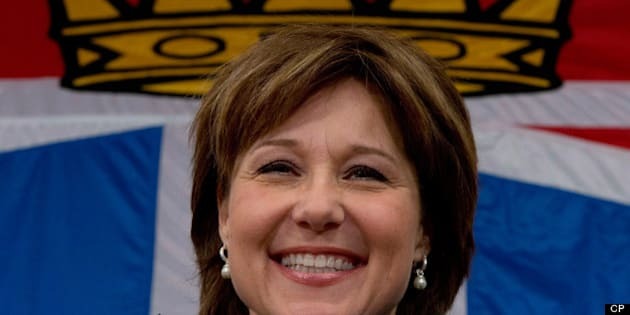 's election, up from 25 female MLAs in 2009, The Vancouver Sun reported. B.C. now outshines Quebec in terms of female representation, as 32.8 per cent of its ridings are held by women, Metro News Vancouver reported. Cathy Huth, chair of Equal Voice, an organization that works to increase the number of women running for political office, said it was good news to see so many women elected in B.C., adding that there's more work to be done to reach gender parity across Canada, the newspaper reported. The news was especially striking for Linda Reid, who was elected to the riding of Richmond East in 1991. Back then, the B.C. legislature was a male-dominated environment that had three washrooms for men and none for women, CTV reported. Now, she says, women will serve in the legislature long enough that they'll need to use the washrooms. The B.C. Liberals elected 15 women, the NDP 13, while Vicki Huntington is the province's sole independent MLA.